The dairy industry in Uganda is growing and presents potential opportunities for investment and poverty alleviation. Uganda has an advantage of a favorable climate for dairy production, implying that it has potential to further increase its milk production provided the challenges in the dairy sector are addressed. The sector is faced with a challenge of inadequate skills in improved production technologies, processing and value addition, which could be a source of revenue. There is also lack of adequate extension services, artificial insemination and lack of adequate feed resources, all of which hinder the genetic potential of dairy animals (MAAFI/ILRI, 1996). To increase productivity there is need to improve all year-round fodder availability and strategic supplementation of legumes. This will ensure increased milk production and its products such as yogurt, butter, cheese, ghee and ice cream whose demand is steadily increasing. It is to impart practical and business skills in milk production, value addition and entrepreneurship. 2. 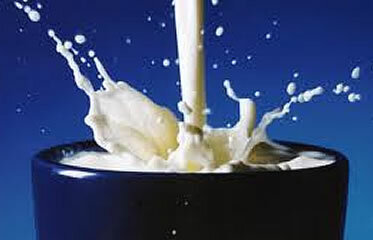 To contribute to the development and transformation of the underutilized dairy production sector. 3. To produce skilled graduates who are job creators in milk and dairy products enterprises. Target group: Those interested in building attractive industrial, business, professional and service careers associated with the Dairy sector.